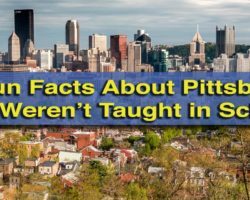 There have been many famous entertainers to come out of Pennsylvania. However, few have attained as much acclaim and long-lasting fame as Indiana County native Jimmy Stewart. 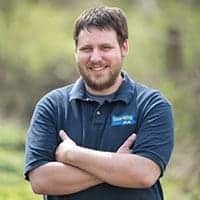 Born to a local hardware store owner and his wife, Stewart spent his entire youth in downtown Indiana, Pennsylvania. In fact, his parents lived in the town until their deaths, ensuring that Stewart frequently returned to his hometown despite his growing stardom. Stewart’s long movie career and distinguished time in the military endear him to many people throughout America. So, it makes sense that his hometown would want to celebrate his legacy. On Stewart’s last visit in Indiana on his 75th birthday, the town dedicated a statue to him outside the Indiana County Courthouse, and in 1995, the town opened The Jimmy Stewart Museum on the third floor of the building next door. For those that are big Stewart fans, many of the places that were important to his childhood are still standing in downtown Indiana. 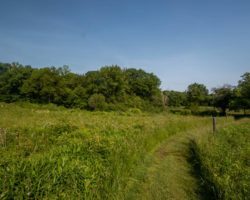 At the bottom of this article, I’ll have a map with a few key places you can still visit. 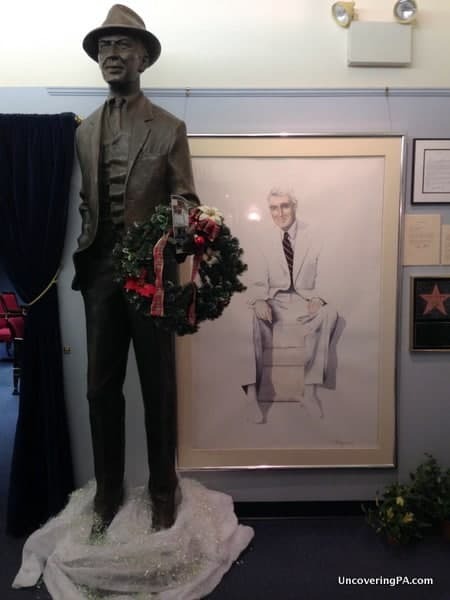 A statue and photo of Jimmy Stewart welcomes you to The Jimmy Stewart Museum. The museum chronicles the life of Stewart from his childhood in Indiana, PA, to his movie and military career. When you enter the exhibit area, you’ll walk past a larger-than-life statue of Stewart, and then through the actual front door of his Hollywood home. The museum starts with a collection of mementos and photographs from Stewart’s later years in Hollywood. It’s a bit odd to start the visit with information about Stewart’s later years, but the section does contain some interesting photographs worth seeing. Once through this section, however, the information takes a more logical order, starting with a bit of history about Stewart’s family and Indiana County, PA. One impressive display features many of the pieces that occupied Stewart’s father’s hardware store in downtown Indiana. 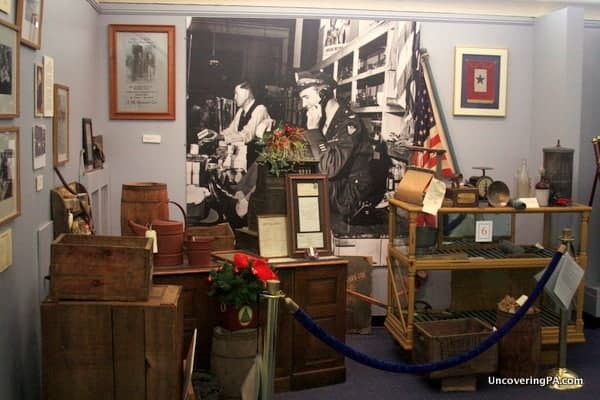 The display is backed by a photo of Jimmy Stewart sitting in the shop after he returned from fighting in World War 2. Items from the hardware store owned by Jimmy Stewart’s father on display at the Jimmy Stewart Museum. From there, the museum turns to Stewart’s Hollywood career with many of the posters from his 80+ films. While it would have been nice to see a few film props in this section, it does a great job chronicling Stewart’s film career. Somewhat interestingly to me, while this first section feels like the museum’s main exhibits, the majority of the most interesting items appear tucked away behind the gift shop. The first of these is a faithful recreation of Stewart’s California office. While you can only view it from the outside, it really does look like Stewart could walk in at any point and begin working. One piece that I found especially interesting was Jimmy Stewart’s autopen that typically signed his name to photos. The next room visitors come to is a recreation of what Stewart’s bedroom in his Indiana, PA, home may have looked like. While it might seem a bit odd, the display is centered on Stewart’s actual childhood bed. For those looking for Stewart’s Hollywood and military memorabilia, that majority of what the museum has can be found directly behind the gift shop. 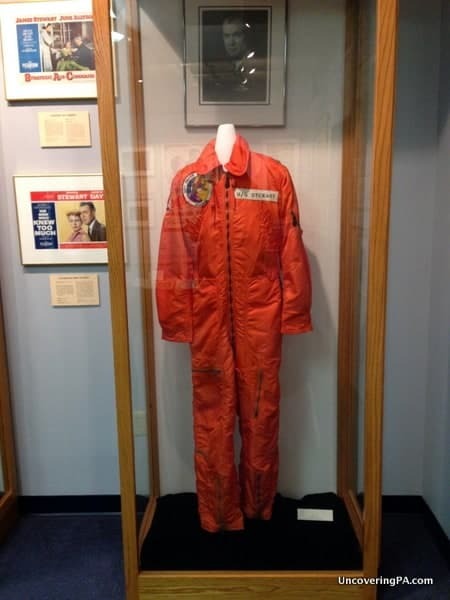 Here, there are two of Stewart’s military uniforms from his time in the service (Stewart rose to the rank of Brigadier General before retiring in 1968). There are also several pieces of Hollywood memorabilia, including the cowboy hat the Stewart wore in all of his western movies. 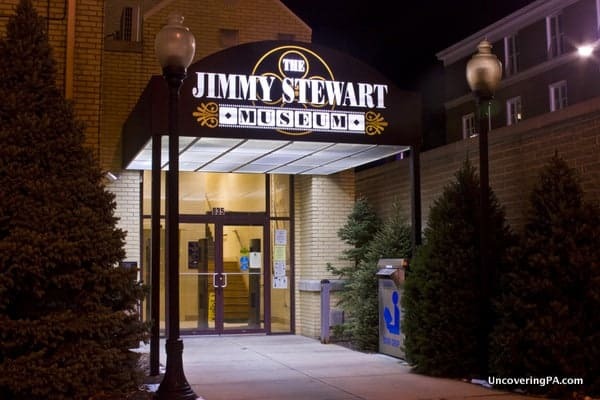 If you still want to know more about Stewart’s life and legacy after touring the museum, check out the museum’s theater, which plays both documentaries about his life and films, as well as some of his most popular movies. While Stewart’s failing health kept him from seeing the museum for himself, I’m sure he would have been quite fond of the museum. While it isn’t the most impressive museum I’ve ever visited, it has a certain humbleness that seems fitting for a man like Jimmy Stewart. 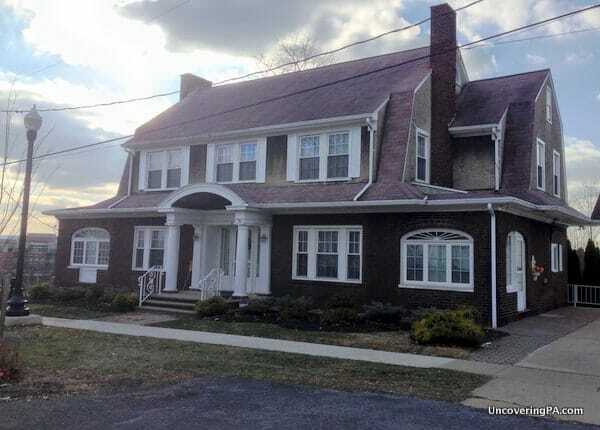 The home that Jimmy Stewart lived in for most of his youth. 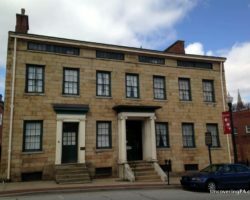 Once you’ve finished visiting The Jimmy Stewart Museum, take some time to do a walking or driving tour of downtown Indiana to see some of the places that Stewart spent during his time in the city. 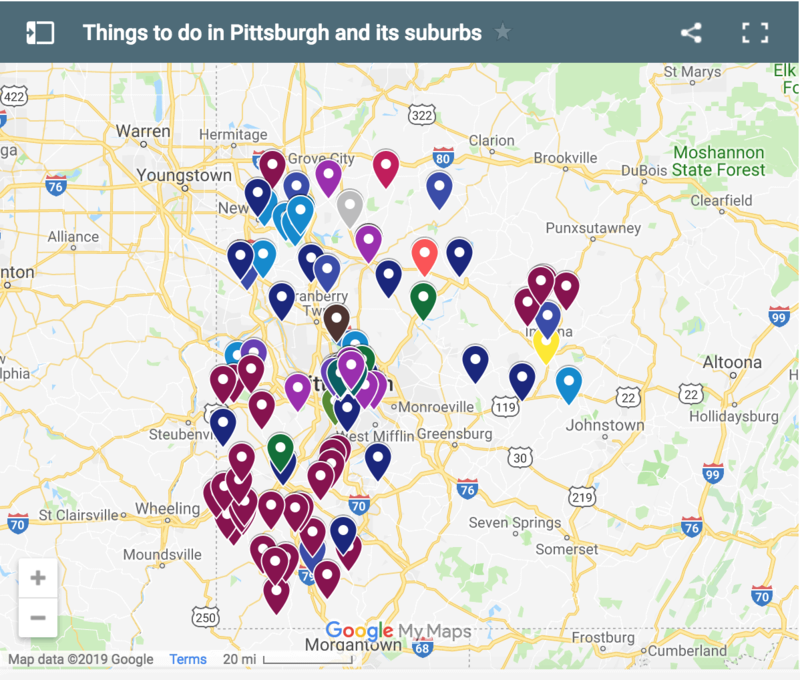 I’ve included a map below that features many of these places, including his childhood home, his birth home, the church he attended as a child, and several more important locations. 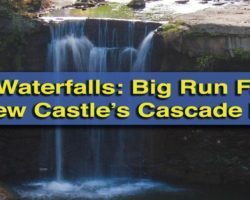 Visiting each of these will give you the opportunity to walk in the footsteps of one of Pennsylvania’s most famous residents. Note: My visit to The Jimmy Stewart Museum was hosted by the Indiana County Tourist Bureau. However, the opinions expressed are my own. Jimmy Stewart was an American icon and a memorable actor. It was really interesting to read your article. I hope to visit the museum in the future. I enjoyed the article which reminded me of a memorable visit I made from England to visit the museum in 2008 for the 100th anniversary of James Stewart’s birth. How about a stop at what must have been a favorite place of young Jimmy (who was, after all, no academic slouch as a Princeton grad)–the Indiana Free Library, housed in the basement and first two floors of the same building holding the Museum? I worked at the museum and it is a wonderful place to visit. We are losing a lot of our older actors, the museum helps to keep Jimmy Stewart’s memory alive. What a gift Mr. Stewart is to our world. His legacy will continue in his cinematic realm. But in addition, the museum now utilizes his life and films to teach our youth about character and values. In James M. Stewart, we have not only a legend in film, but also a means by which he can reach the world in examples of what it means to be human. Perhaps now more than ever, we need these kinds of reminders which speak as strongly to our youth as the films do to other generations. Speaking as the Chairman of the Board of the Jimmy Stewart Foundation, this article and your comments remind all of us on the board and our many volunteers just how much of an impact he has had, and continues to have, in the lives of so very many.